One of the joys of reviewing is when a CD (or digital download) arrives in the mail and you are immediately bowled over by a musician unknown to you . The day "Gentle Giants" (self-released) showed up, so did the album below with vocalist Danielle Wertz. Both feature pianist and composer Tal Cohen, a young Israeli-born musician who finished school in Perth, Australia, before attending graduate school at the University of Florida in Miami. 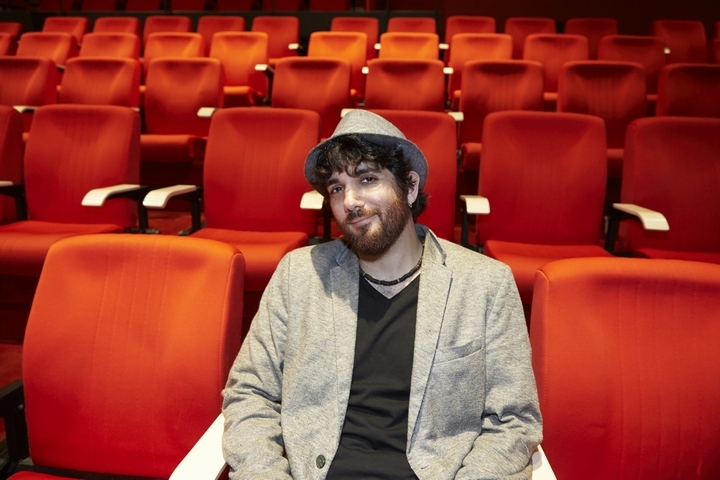 He's won numerous awards for his musicianship, has performed with Joe Lovano and George Garzone plus drummer Ari Hoenig and Australian saxophonist Jamie Oehlers, and is now living in the United States. Listening to "Gentle Giant", I am reminded of my initial reaction to Wynton Marsalis's 1986 album, "Black Codes From the Underground." There is an audacious quality to the music, making one sit up and pay attention to what each musician is playing and how the ensemble interacts. We could argue all day long whether the music is "new" or not but that's not the point here. Cohen and company - Robert Hurst (bass), Nate Winn (drums), Greg Osby (alto and soprano saxophone on four tracks), and the afore-mentioned Jamie Oehlers (tenor saxophone on six tracks) - make this music breathe, alive with possibility, and going in unexpected directions. Case in point - the album opens with "Nardis", arguably the most famous Miles Davis composition that the trumpeter never recorded to his satisfaction but was pleased by pianist Bill Evans's many recordings of the tune. The music grows outward from the rhythm section, the slinky bass line that opens the piece and the atmospheric introduction. 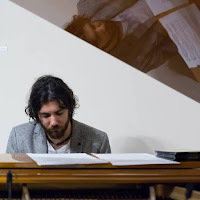 Oehlers (a mentor to the pianist in his school years in Australia and beyond) plays the melody while the piano, bass, and drums give the rhythms a Middle-Eastern feel. Listen to how Cohen builds his solo, the intensity he discovers, the interactions with Hurst and Winn. There is delight in this performance, power as well but a great feeling of playfulness. The album is filled with fine melodies (all but the opening track are Cohen originals), many with the combination of Israeli folk songs blended with the influence of Chopin and Scriabin. "Lo Haya" is a two-part piece, the first a lovely duet with Oehlers, the second a lullaby built from a phrase from the original melody. "Part 2" opens with a lovely introspective piano solo then adds the rhythm section building to a powerful interchange between the two saxophonists as the intensity builds and builds. The saxophonists also combine on the delightful "Great PK (for Shuli)" which swings powerfully right from the get-go with strong solos all around. Osby gets the spotlight on "Gavetsch"; he follows a particularly high-spirited piano playing with pieces of the melody, interacting with the rhythm section, spurring both Hurst and Winn to respond - in an odd choice, the tune's reprise "Hazil Magil" is programmed three tracks previous and is a different take of the piano solo only. The album closes with "Chopin Meets Abach". Paraphrasing Cohen's notes, it's music that contrasts the peace the composer gets from classical music (Chopin) and the Israeli citizens need for a protective mask (Abach is the name of the mask's manufacturer) during the Gulf War. With eh rhythm section creating a powerful racket, Osby's soprano saxophone phrases rise like a flock of birds. 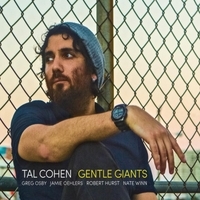 "Gentle Giants" is an excellent introduction to Tal Cohen, his music and his vision. This is music that is easy to get lost in, to let the sounds flow in and out of you. While, at times, the music sounds so spontaneous, one can hear that the music spent time living with the pieces, playing them and finding so much depth. This album is actually Cohen's second as a leader - his debut "Yellow Sticker" (also featuring Jamie Oehlers) was released in 2011 - and is a delight from start to finish. For more information, go to www.talcohenmusic.com. 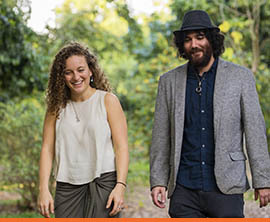 "Intertwined" (self-released) features the combined talents of Tal Cohen and vocalist Danielle Wertz. 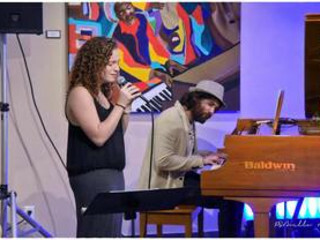 Ms. Wertz, a native of Virginia, met the pianist when both were studying at the Frost School of Music at the University of Miami. Her voice will remind some of Kate McGarry, Gretchen Parlato, Sara Gazarek, and Sheila Jordan. There's a quality of lightness that shines through whether she is romping through the melody, as she does on the title track or wrapped in the gentle melody of "Autumn Leaves." On the latter track, Jamie Oehlers adds his breathy tenor saxophone, responding to the vocalist as well as creating a memorable solo. Listen to how Cohen weaves his lines throughout the piece, not only building the foundation but also responding to the emotion of his companions. The sparsity of the accompaniment allows Ms. Wertz to explore the words, their meanings, their relationship to the melody and the improvisations. Actually, the first sounds one hears on the opening track is Oehlers's hypnotic melodic fragment leading in "Beautiful Love", a song first made famous in 1931 by the Wayne King Orchestra. The gentle vocal and the articulate piano work join the saxophone as the trio open the piece, each one listening to the other and responding. 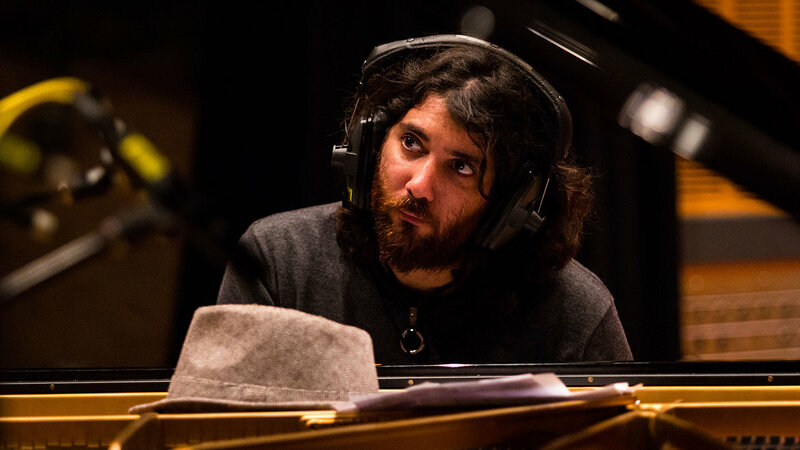 Cohen's "Chopin Meets Abach" blends wordless vocals with a rolling piano line, the power of the music coming from his the voice builds along with the piano, not always in contrast but in union with the message of the composition. perform standards, make the pieces sound brand-new. If the emotions are honest, the music has power. "Intertwined" is powerful. 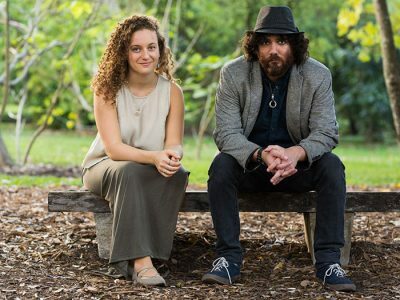 Danielle Wertz and Tal Cohen have created an album that transports the listener beyond the ordinary. Be open and the music will seem like an adventure, a good and satisfying experience. For more information, go to www.daniellewertz.com or to www.talcohenmusic.com.